Dr. Behnam has performed over 3,250 hair transplant cases and over 3 million FUE hair transplant punches in his Los Angeles office. During this period, he has optimized his methods to maximize hair transplant graft growth rate and get the best results. He has worked on straight hair, curly hair and Asian hair. His expertise in FUE hair restoration have made him a leader in FUE hair transplantation. Below, Dr. Sean answers the most common FUE hair transplant questions. There are two different methods of performing the hair transplant procedure, strip harvesting hair transplantation or Follicular Unit Extraction (FUE). 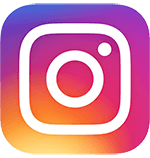 This page is dedicated to explaining the FUE hair transplant method and listing a series of frequently asked FUE hair transplant questions. 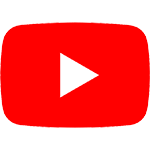 Please scroll down for FAQ. Front view, using the FUE hair transplantation method, 1,901 hair grafts were individually extracted placed. The design is very well suited for the face, it frames it very well. FUE front and midscalp ( not crown).Using the FUE hair transplantation method, 1,901 hair grafts were individually extracted and placed in the hairline and midscalp. Side view. Photos demonstrate high hair transplant graft survival rate with FUE hair transplant similar to the strip hair transplant procedure. Using the FUE method, 1,901 grafts were individually extracted and placed in the hairline and midscalp. FUE hair transplant, Front view: 1,103 grafts placed at the hairline. Please note the density of the hair and the naturalness. FUE by Dr Sean Behanm MD. FUE hair transplant, side view 1,103 grafts placed at the hairline. Please note the density of the hair and the naturalness. FUE by Dr Sean Behanm MD. FUE hair transplant, Front view: 1,103 grafts placed at the hairline. Please note the density of the hair and the naturalness. FUE by Dr Sean Behanm MD. Top view: After 2,054 hair grafts placed by FUE hair transplant method. Increased density achieved after one session of FUE hair transplants. Top view: After 2,054 grafts placed by FUE method. Procedure performed by Dr. Sean Behnam. Increased density achieved after one session of FUE. 1,523 grafts placed at the hairline. Please note how natural the hairline looks. By Dr Sean Behnam. 1,523 grafts placed at the hairline. The left picture the hairs are pulled up by a comb. Dr Sean Behnam uses extra small tools to go in between the current grafts to make the hairline thicker. 1,523 grafts placed at the hairline. The after picture the hairs are pulled up by a comb to show density. Dr Sean Behnam. 1,523 grafts placed at the hairline. The after picture the hairs are pulled up by a comb. Dr Sean Behnam. 1,523 grafts placed at the hairline. The after picture the hairs are pulled up by a comb to show density. Dr Sean Behnam uses extra small tools to go in between the current grafts to make the hairline thicker. Patient received 1,999 grafts along hairline and temples. Results shown after 1 year. 1,441 grafts placed at the hairline and temples. front view. 1,441 grafts placed at the hairline and temples. Side view. Please notice how natural the hairline is. 1,441 grafts placed at the hairline and temples. Side view. After picture, the hairs are pulled by a comb to show density and naturalness. 1,441 grafts placed at the hairline and temples. Side view. Please notice how natural the hairline looks. By Dr Sean Behnam. Front view. This gentleman had 2,907 hair grafts placed in the hairline and midscalp using the FUE hair transplant method. Patient received 2605 grafts (5016 hairs) via an FUE transplant. Results are shown after 1 year. FUE stands for ‘Follicular Unit Extraction’. Follicular Unit Extraction is an advanced and automated hair transplant procedure where individual hair follicles or hair grafts are removed one at a time from the back of the scalp and transplanted into the recipient areas. FUE hair transplant does not have the disadvantages of linear scars associated with strip hair transplant. FUE hair transplants involve making micro punches of about 1 millimeter (to harvest the hair) with a very specialized instrument allowing for the majority of the scalp tissue to be left intact. As demonstrated with the before and after photos above, Dr. Sean can make the graft survival with FUE hair transplant reach approximately 95%, just like the FUT (strip) method. Correct technique and planning, has to do a lot with great graft survival and the final outcome. FUE hair transplant is an instrument-dependent hair transplant procedure. Hence the type and the quality of tools used for FUE hair transplantation significantly affects its artistic outcome. The creation of increasingly better FUE hair extraction has closely paralleled the advances in the FUT hair transplant procedure. Dr. Sean has now performed over 2,000 hair transplant procedures, 1,000 of which have been FUE hair transplants. He has six different machines and a lot of the tools he has engineered. It is important to note that the creation of recipient sites and the placing of hair transplantation grafts are exactly the same in both FUE hair transplantation and FUT (strip) hair transplantation procedures. The only difference is the way hair transplantation grafts are harvested. Hence as far as final cosmetic look is concerned, both methods should and must provide the same cosmetic results if done by the same surgeon. Front view. This gentleman had 2,281 hair grafts placed along the hairline and midscalp. By Dr Sean Behnam. Side view. This gentleman had 2,281 hair grafts placed along the hairline and midscalp. By Dr Sean Behnam. Oblique view. This gentleman had 2,281 hair grafts placed along the hairline and midscalp. By Dr Sean Behnam. 1,197 grafts added to the hairline using the FUE method. Procedure performed by Dr. Sean Behnam MD. Notice how natural the hairline is. Acell is a protein scaffold that is derived from pig bladder. It contains growth factors and it promotes wound healing. Overall, studies have indicated that it reduces scarring. At the ISHRS (International Society of Hair restoration) meeting, it was demonstrated that the use of Acell in FUE hair transplantation decreases the size of punch scar from 1 millimeter to 0.6 millimeter, meaning that once the site of the punch heals, the scar is much smaller than the punch size itself. This can be demonstrated by the picture below, where we performed FUE hair transplant using 1 millimeter punches and we asked our patient to come back one year later. We shaved the area that the FUE hair transplants were done. Please look at the result. It is very difficult to decipher that many punches were made in that area. Another study has demonstrated that 54% of grafts removed via FUE hair transplantation would regenerate in the donor area. This does not mean cloning. 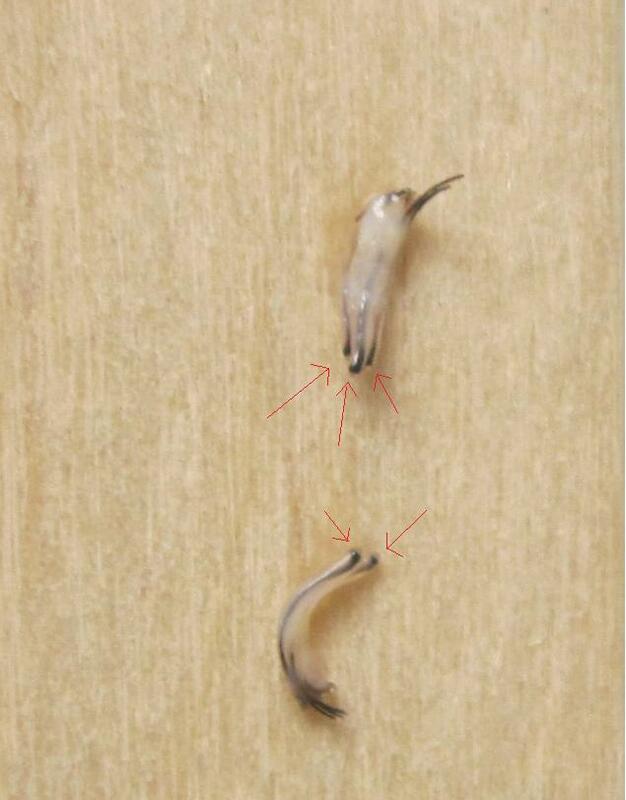 But, it probably indicates that if part of a graft is not fully removed using the punch, Acell may help it regenerate. Again, Acell does not do magic, but its use in FUE hair transplant promotes minimal scarring and even some regeneration of some hair follicles in the donor area. In terms of wound healing and pain, FUE hair transplantation is also noted to have a faster healing time, less post operative pain (no pain in most instances) and there is no need to remove stitches or staples, compared to the strip hair transplantation method. In our practice many professional athletes prefer FUE hair transplantation for this exact reason and since they can resume strenuous activities and contact sports much sooner. Since FUE hair transplantation procedure does not leave a linear scar, it is also preferred by patients who want to wear their hair short. People with tight scalp also prefer FUE hair transplantation to minimize scaring as a result of tightness of the scalp. Is is important to note that with Dr. Sean strip method (FUE) , the linear scarring is minimal because of the techniques he uses. In fact, most of his patients who have the strip FUT method can still wear their hair down to a number two. However, if someone wants a shorter haircut, then FUE hair transplantation is preferred. Dr. Sean has performed a lot of FUE hair transplant procedures since 2008, and his experience and expertise are crucial in achieving great results. On average, each hair graft has 2 to 3 individual hairs. How is FUE hair transplantation performed? First, the recipient sites (sites where the grafts are placed) are created. Once we know the exact number of grafts that are needed, the back of the scalp is then shaved and each individual hair graft is removed. The grafts are then placed one at a time back in to the recipient area. The beauty of the procedure is that there is no linear cutting. The placing of grafts in the recipient area is performed the same way it is done in the traditional strip method. How long does it take for the donor area to heal? Once the hair is removed from he back of the scalp (the donor area), it then heals on its own. The healing process takes about 1 to 2 weeks. By the time the patient comes back for follow up by day #10, those small holes have already healed. Please look at the flowing few examples. The pictures above demonstrate how fast the donor area heals. The picture on the left was taken immediately after 1,100 grafts were extracted. The picture to the right was taken 6 days later. The sites have healed pretty well. The skin has healed, and the hairs surrounding the extraction sites are growing. In this individual, by the 6th day, no one would notice he had a procedure done. In this example, Acell wound healing material was used to accelerate the wound healing process. More pictures are available in our office (310-315-4989). How is the healing on the donor area different in women than men? The healing is identical. However, because women usually wear longer hair in the donor area , they can hide it better. Please see the below examples. The picture to the left was taken before the procedure. The needed area is shaved. Please notice that we only shave what we need so the the area can be easily covered with your own hair. So, after the procedure, your own natural hair can cover up the donor area. Is there a linear scar associated with follicular unit extraction? The whole point of follicular unit extraction is to prevent the linear scar that is seen on the back of the scalp that is seen with strip method transplants. With FUE’s, individual grafts are removed one at a time. 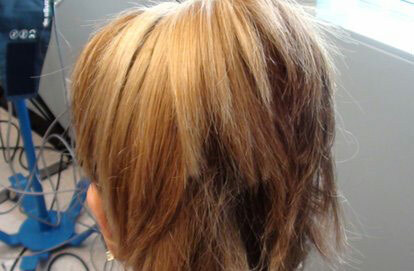 Below is an example of the donor area one year after 1,100 grafts were removed. As demonstrated we have shaved the area and its hardly noticeable that anything was done. We also take advantage of Acell, which is a growth factor used for wound healing. Who does the actual extractions, the doctor or the technicians? Dr. Behnam performs the actual punch insertion. This is very important because as the small punch goes around the grafts, it is very important to be diligent and meticulous in order not to cause transaction. He does not allow a nurse or physician assistant to do the punch insertion. Dr. Behnam does all extractions. How does Dr. Behnam know how many grafts to extract? Dr. Behnam first creates all of the sites, so he has a very exact count of how many grafts are needed. What is the follicular unit extraction procedure day like? Once you arrive at the office, you and Dr. Behnam will go over all the paperwork. You will also go over the hairline design and where you want the hairs to be placed. 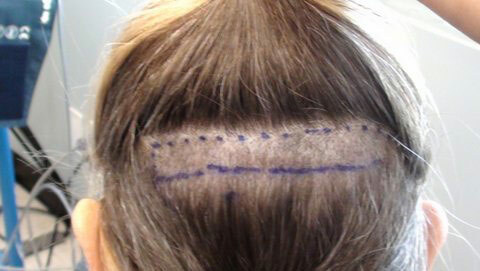 Then you are taken to procedure room and the required donor area on the back of the scalp is shaved. The back of scalp is numbed. The frontal scalp is numbed as well. Dr. Behnam puts all of the recipient sites in the front of the scalp. He then individually extracts one graft at a time from the donor area. Lunch is provided. According to the patient, this is one of the most relaxed days when they have had. Are patients with curly hair candidates for FUE hair transplantation? Dr. Sean Behnam has performed many FUE hair transplantation procedures for patients with curly hair, including African Americans and those of Armenian descent. Dr. Behnam is one of few physicians that can perform extractions on African-Americans. Since the graft under the skin curls, Dr. Behnam uses special techniques to curve his punch as he extracts the grafts so they are removed without being damaged. When it come to FUE hair transplants, experience counts, especially when extracting curly hair. The following shows two hair follicles from an African American. The top follicle has 3 hairs in it and the bottom one has 2 hair in it. Please notice how curly they are. These grafts were obtained using FUE. Dr. Sean Behnam has 022a special technique in which he can remove even curly hair fully intact. Transection is when the hair shaft is dissected with the punch during the extraction method. Transection rate gets better with practice. Dr. Behnam has been performing Follicular Unit Extractions since 2008 and he performs them routinely. His transection rates are around 0.9% to 2.1%. Does the patient have to shave his/her back of head for the Follicular Unit Extraction procedure? Yes, we will shave the needed area in the donor section. The area will grow back within 10 days. Longer hair in the donor area is beneficial because we can shave below your long hair and the area can be covered with long hair. If I had a strip transplant before, can I have a follicular unit extraction performed? Yes. Having done a strip hair transplant will not prevent you from having an FUE hair transplantation performed in the future. 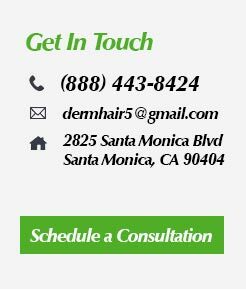 You would need to have a consultation with Dr. Behnam in order to make sure that there are enough donor follicles on the back of the scalp to allow for another hair transplant to take place. Can follicular unit extraction be used to cover the scars from old transplant surgeries or scars from the facelift? Yes, if you have a scar in the back of the scalp from a previous strip method that you would like to conceal, we can very easily perform it. If I have a follicular unit procedure, when can I expect to see the results? Hairs start to grow by the 3rd month and they continue to grow 1 inch every 3 months. By about 10 to 12 months, you can expect 3 to 4 inches of hair growth. However, because Dr. Behnam places the grafts back into the body within 2 hours, this external stressors on the grafts are reduced and some of the grafts may start growing faster. What are the amenities of the office? Parking is underneath the office. For transplant patients on the day of the procedure, parking is validated. The bathroom is located within the facility, it is right across from the procedure room. You may use bathroom at anytime. Lunch is provided. How many years has Dr. Behnam been performing follicular unit extraction? Dr. Behnam has been performing a follicular unit extraction since 2008. He has modified the instruments required in the procedure and he has a proprietary instrument that is used to do the extractions. How much does follicular unit extraction cost? $6.10 per graft. Cases over 1,800 are $5.60 per graft. Why would people choose follicular unit extraction over strip hair transplant? The benefit for the extraction includes no linear cutting, no staples, no sutures, and no scalpels. Can follicular extraction be used to transplant hairs from other body parts such as chest, arms, or legs to my head? Yes, Dr. Behnam specializes in extraction of hairs from other body parts to the scalp. He does prefer the hairs from the back of the scalp, the process is faster. Is follicular extraction more or less safe than the strip procedure? Follicular extraction is as safe as the strip procedure. The Inflammatory Phase involves bleeding, narrowing of blood vessels, clot formation, and release of chemical substances that will begin healing. Next is the Proliferative Phase in which a matrix or latticework of cells begins to form scar tissue. The Remodeling Phase begins after 2-3 weeks when the matrix becomes more organized, strengthening the scar tissue. The Epithelialization Phase is the process of laying down new skin covering the scar tissue. Efforts to improve wound care treatment have focused on developing anti-inflammatory drugs and improving surgical techniques. ACELL Extracellular Matrix Technology is a regenerative medicine which represents a revolutionary breakthrough in wound healing. Extracellular Matrix (ECM) is the material which holds cells together in the bodies of all mammals. ECM is like an information super highway loaded with information telling cells to grow, divide, and differentiate. The ACell includes a combination of ECM, growth factors, and proteins which stimulate and guide the process of tissue regeneration. The body recognizes the ECM signals and recruits the appropriate cell factors which differentiate according to what they should be. The process is a recapitulation of developmental biology. Example of the power of Acell. Acell powder was applied to this amputated finger. The finger tip regenerated. Dr. Behnam is dedicated to giving each patient the highest quality care. He educates each patient on the latest technologies and remedies for hair loss. He is an expert in the FUE hair transplant procedure as well as the strip hair transplant procedure. He is committed to treating hair loss with the respect it deserves.